There are some Christmas traditions which are hard to ignore. There are carols to be sung, eggnog to be drunk, Christmas tree to be dressed, and ridiculous sweaters to be worn. Although the worldwide Pokemon Go craze is way behind us, the game is still going strong. 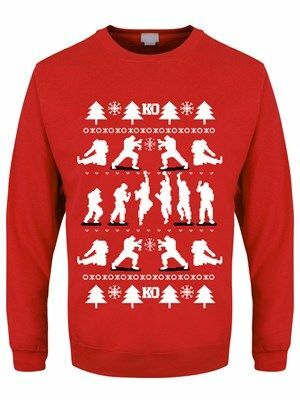 If you’re still playing, or know someone who does, why not reward the commitment with a thematic sweater? 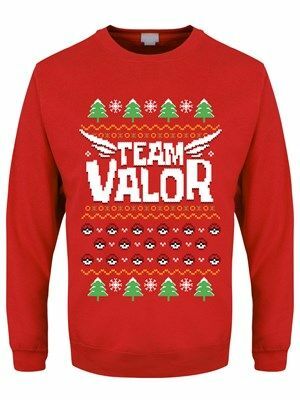 Whether you’re Team Mystic or wrong Valor or Instinct, there’s a sweater for you. And given that winters haven’t turned into summers just yet, something to keep you or them warm (other than the warmth of your overheating phone) is a plus. Whether it’s summer or winter, the Imperial province of Skyrim can get pretty chilly, and not just because there’s that one person who can turn you into a human popsicle with their voice. Which is why a tightly knit wool sweater is an absolute must in any inventory. With fearsome imagery embroidered upon it, it’s certain to ward off the cold, and bring mirth to allies. A cold breath of the wild is fantastic during summer, but in wintertime can take you a step closer to spending the next week sneezing and coughing. You don’t need this in your life, so here, take this. 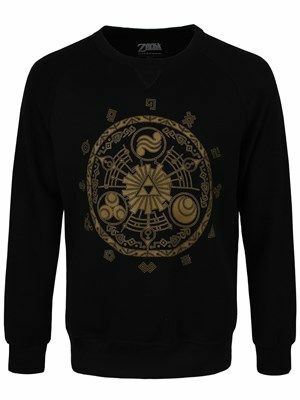 Legend of Zelda sweaters come in many variations, starting with Link like depicted as Santa’s elf, through the iconic sword and shield, to end somewhere near the various motifs revolving around the Triforce of Power. It’s also reasonably easy to find one in a nice green colour, given that Link is big on wearing green himself. It isn’t much to help you hide against the Christmas tree, but every bit helps when you don’t want to help with the dishes. The jury is still out on whether Tim Burton’s all time classic stop-motion production is a Halloween or a Christmas movie, but what matters is that skellingtons don’t care about the cold. And you’ll be able not to as well, with the Nightmare before Christmas-themed sweaters. 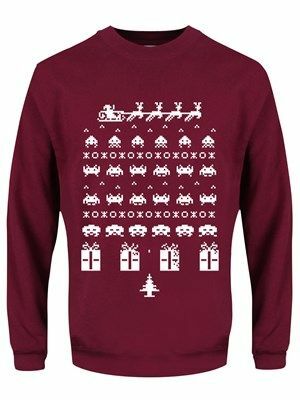 Although admittedly not a gaming sweater, it shows your geeky side just as well, and harks back to a beloved movie with unmistakable style. You’re unlikely to find one without Jack Skellington’s face on it, but I wager that would be fine with you, the guy’s a legend. Either way, you’re going to stay warm thanks to childhood memories and the thick weave of this nostalgic sweater. 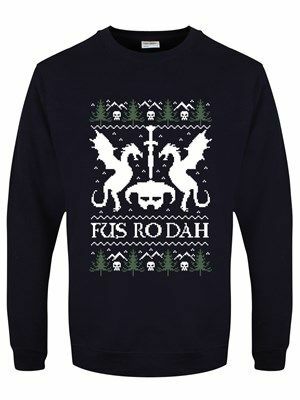 How about some non-denominational gaming sweaters? Sometimes it’s not fair to single out one franchise, if you can proudly say you’re a versatile gamer. Sometimes, you can send this message thanks to a sweater with a stylized gamepad or mouse and keyboard on it, other times referring to some retro-gaming common denominator like Space Invaders can do the trick just as well. 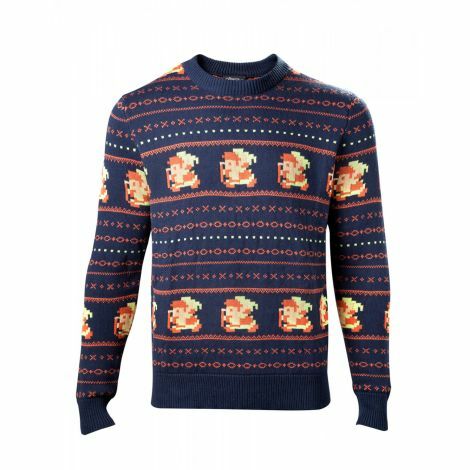 Whatever your preference regarding a franchise or theme you’d be proud to display on a geek or gamer Christmas sweater, nobody can deny that the one thing better than a warm jumper is a warm jumper which shows what you love. So let your geek flag fly high, and stay warm this winter. 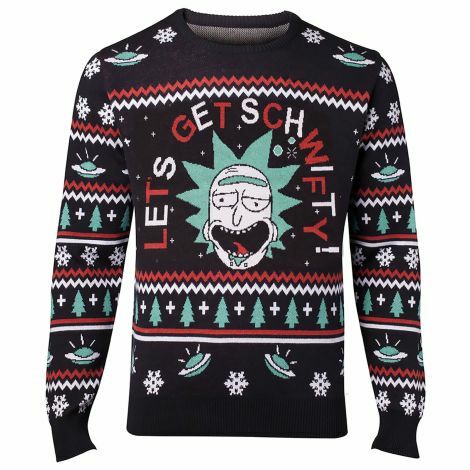 If you need an idea and source of quality nerdy sweaters, visit G2A.COM and stay a while—and maybe grab some toys or collectibles for good measure?